Trevor Story helped the Colorado Rockies to a hard-fought MLB win as they continued their postseason push. 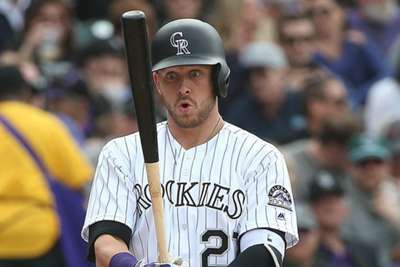 Colorado's shortstop, who battled injuries all last season, bashed his 27th and 28th home runs in a 9-8 win over the San Francisco Giants on Monday. Story broke out as a rookie two season ago, but injuries and poor hitting ruined 2017 for him. Back with a vengeance this season, Story is now batting .295 with the 28 home runs and 92 RBIs, after driving in five against the Giants. The win, combined with a 4-2 Dodgers loss to the Mets, gave the Rockies a 0.5-game lead in the National League West. Colorado would also be a 0.5-game behind the Cardinals for the second wildcard spot if they were not in the division lead. With Charlie Blackmon, Nolan Arenado and Story providing offensive firepower, the Rockies could be an intriguing team in the postseason. 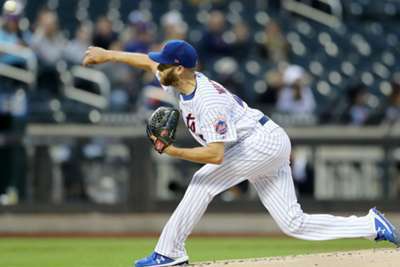 But starting pitching has been their nemesis for years, and this season is no different. With the Cubs, Dodgers, Cardinals and Brewers all looking like serious World Series contenders, the Rockies are going to have to do something special in the coming month to separate from the pack. Pirates starting pitcher Trevor Williams improved to 12-9 by tossing 6.2 shut-out innings in a 5-1 win over the Reds. Williams has now allowed two runs or fewer in each of his last nine starts. He struck out four batters in the win. Nationals star Bryce Harper hit a home run to tie the game in the ninth inning, and then he hit a walk-off sacrifice fly in the 10th to beat the Cardinals, 4-3. Harper finished the game with one hit, three RBIs and three walks. Step 2. DEPLOY BARNYARD PUMP SEQUENCE! Braves slugger Ronald Acuna Jr. went 0 for five with three strikeouts in an 8-2 loss to the Red Sox. Acuna, who has seven lead-off home runs since the All-Star break, had just three home runs in his last six games entering Monday's action. Joey Votto traded his jersey for a fan's shirt. Chicago have been on fire since the end of July, but the Brewers got a game back Monday with a 4-3 victory. The Cubs still own a four-game lead over Milwaukee in the ultra-competitive NL Central, but they need to hang tough with the Cardinals also in the mix.